That's how the Munich Urban Colab will look like. The new innovation center is scheduled to open in 2020. 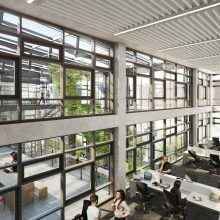 Steidle Architects and contractor Hochtief are building the Munich Urban Colab in the city’s creative district. 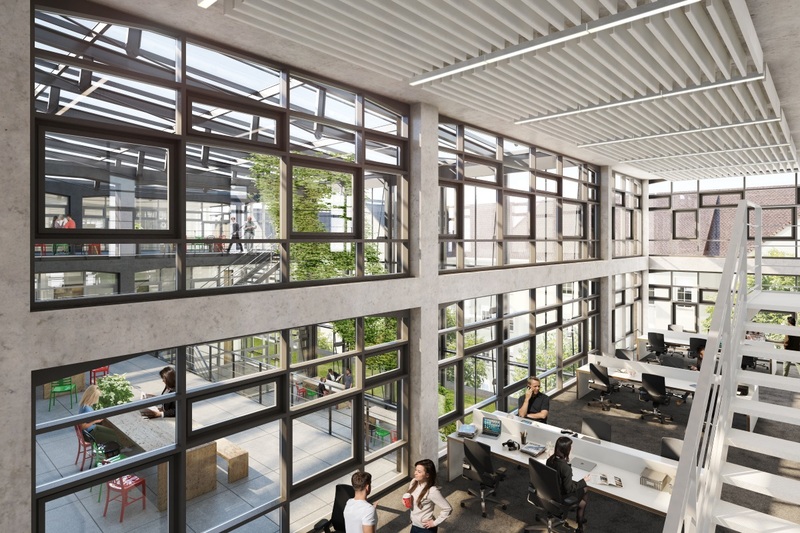 In the competition held by UnternehmerTUM and the City of Munich for the design of the new business creation center, the renowned Munich firm of Steidle Architects was the clear winner. 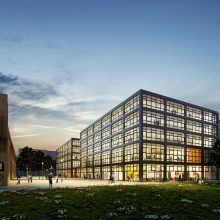 The plan is for Munich’s new innovation and business creation center, with its focus on Smart City solutions, to be built in the creative district by 2020, and it will cover an area of more than 11,000 square metres. says Susanne Klatten, Chairwoman of the Board of UnternehmerTUM. For the very first time startups, established companies, creatives and scientists from various industries and disciplines will all work together on Smart City solutions under one roof – at the Munich Urban Colab. says Deputy Mayor of the City of Munich Josef Schmid. The winning design by Steidle Architects underlines the goals and aspirations of the Munich Urban Colab in an outstanding manner. It is atmospheric and functional at the same time. The building offers a high degree of transparency and plenty of space – ideal conditions to enhance the process of innovation. The bright and open interior spaces are inviting, and perfect for communication. In the Munich Urban Colab, the restaurants and the attractive conservatories are ideal locations for an exchange of views and ideas, and for encounters with creatives and the neighbourhood. In terms of urban integration, too, the award-winning design for the Munich Urban Colab blends in harmoniously with the wellestablished and lively city district with its public park and its monuments. The architecture is based deliberately on classic industrial buildings. says Johann Spengler from Steidle Architects. Despite its historical echoes, the new building conforms with the very latest standards due to its modern and sustainable construction. In addition to offices, seminar rooms and a prototype workshop, the Munich Urban Colab will also feature an event area for meetings and exhibitions. A café, two conservatories and a sports and fitness room enhance the work-life balance and are also ideal for meeting up and networking. To find the best possible architecture for the Munich Urban Colab, UnternehmerTUM and the City of Munich decided to hold a competition. Architects and building contractors throughout Europe were invited to take part in a general contract award procedure. Eight applicants were chosen from a total of eighteen, and out of those final eight, a jury of experts from politics and architecture chaired by Professor Thomas Jocher decided clearly in favour of the design proposed by Steidle Architects and Hochtief. 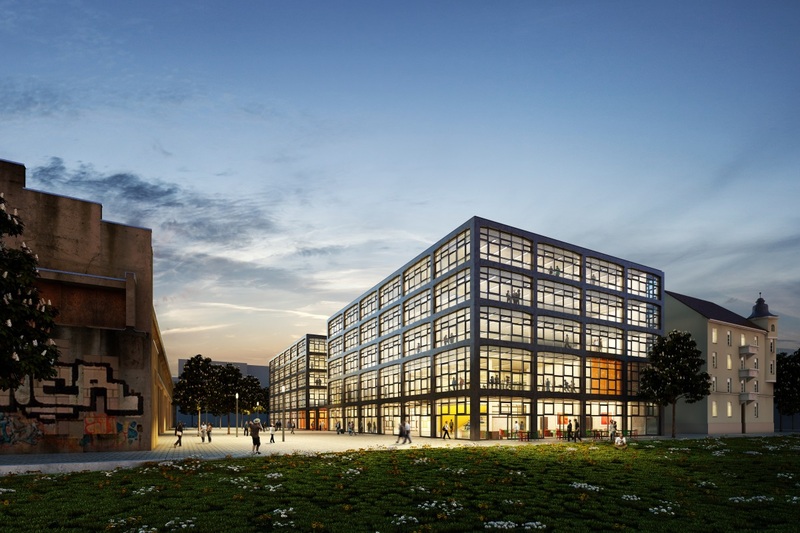 The City of Munich is making the site available on a leasehold basis, and UnternehmerTUM is assuming the costs for construction and operation of the new building. All the designs for the Munich Urban Colab are on display until June 29th 2018 at the Department of Labour and Economy of the City of Munich, Herzog-Wilhelm-Strasse 15.